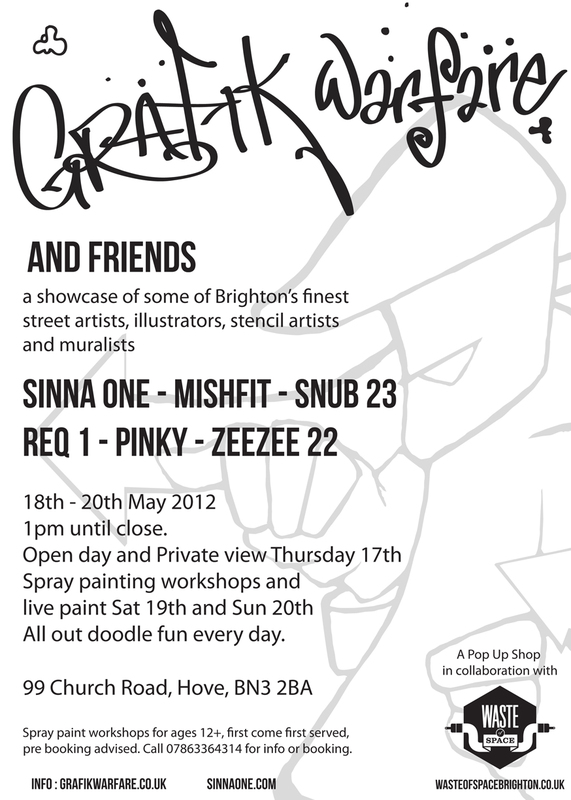 Grafik Warfare have the shop to exhibit works and there shall also be some doodling sessions going on. On the 19th and 20th there are spray painting workshops for ages over 12. Sessions run for an 1hr and 15 mins and cost £10 per person. This price includes tuition, paint and a canvas. A top session, the group was small and controlled but free and creative at the same time. Daryl hit the right balance between anarchy and dictatorship, the kids loved it.